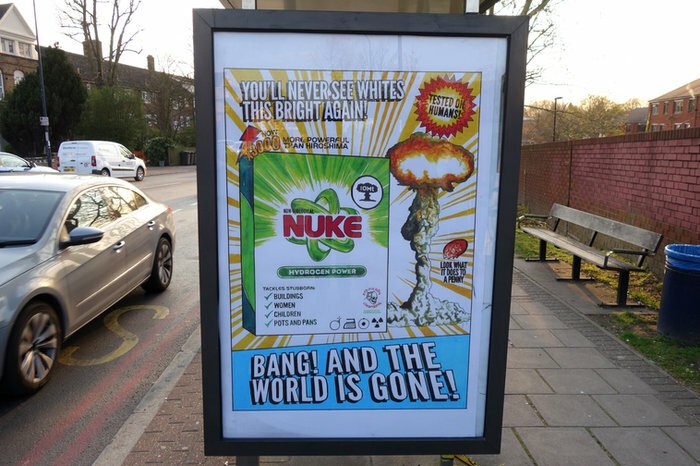 These NUKE posters I designed awhile back have started appearing in bus stops around London as part of Subvertiser’s International’s #SubvertTheCity campaign. There’s a load of other artists involved, some of whom you can see in the below video. Thanks as always to Special Patrol Group for installing the posters! 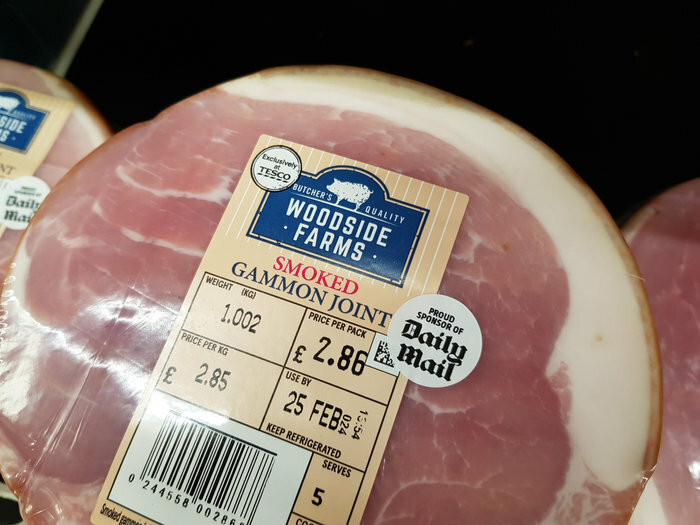 I’ve started adding these stickers to the products of companies who help fund racist propaganda by advertising in the Daily Mail. If you’d like to get involved, you can download & print your own stickers or order pre-printed stickers here. 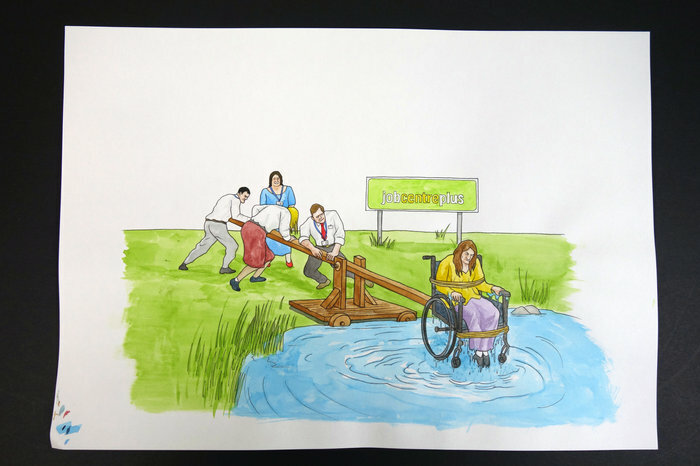 I’m selling the original artwork behind the Mini Daily Mail. If you’re interested you can pick something up from this page here. First come first served! 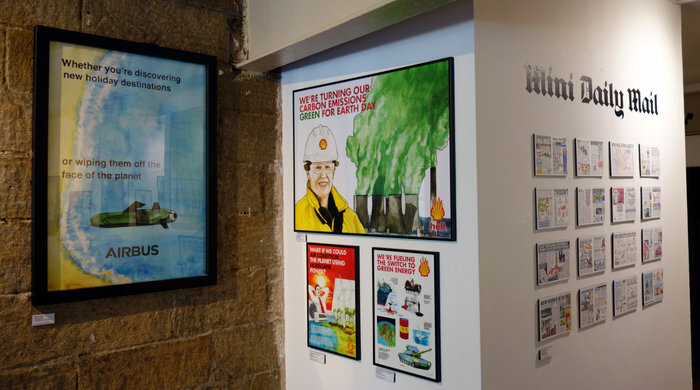 My solo exhibition at The Cluny in Newcastle opened last Thursday and runs until the 27th May. Thanks to everyone who made it down for the opening night, and thanks to Ettrick Scott for curating the show and playing live with the excellent Jazz Riot. The response has been amazing. If you’re in the area nip down and have a look. 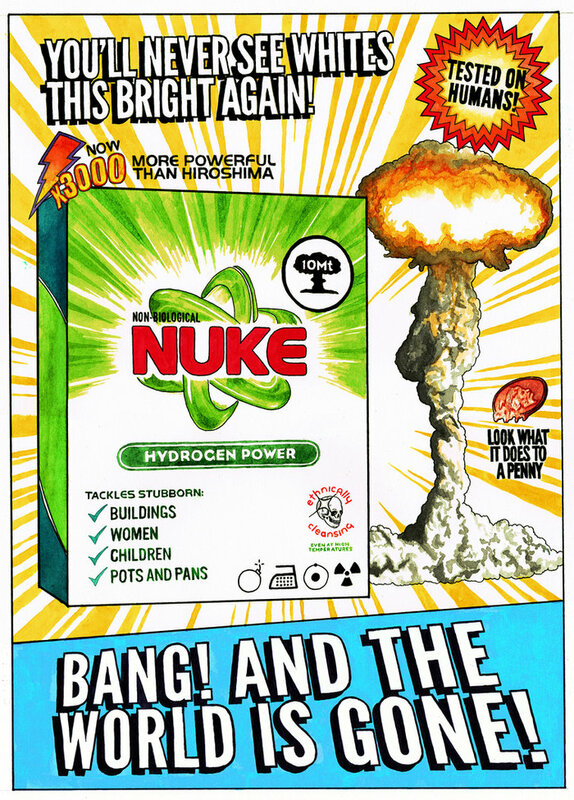 This entry was posted on 13 April, 2019 in homepage and tagged darren cullen. Bookmark the permalink.